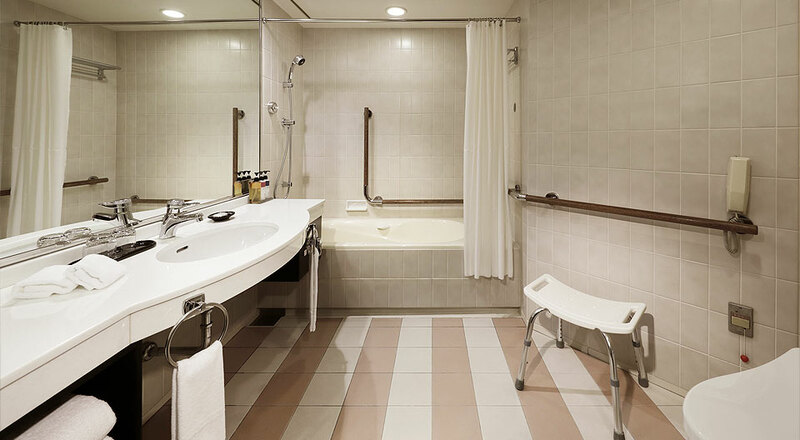 Designed to ensure that disabled guests are able to experience the same level of comfort as everyone. 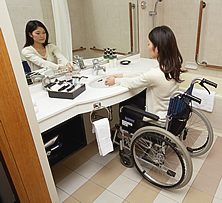 Universal Rooms are designed for wheelchair-bound guests and fully equipped with sliding doors, conveniently located light switches, and barrier free bathrooms. 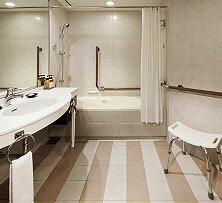 The spacious rooms are 35 square meters in size and afford easy wheelchair navigation. 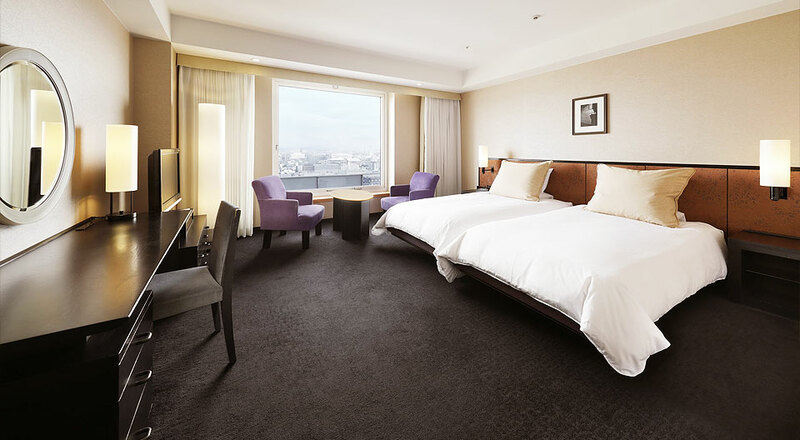 The room is equipped with a Hollywood twin bed. Both outer and inside doors are sliding doors, designed for use by wheelchair users. 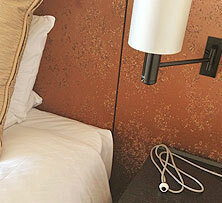 User friendly call bottun is placed by the bed and it connect directly to the hotel staff for assistance. Handrails and adjustable chair are installed in the bath room. Bath board, non slip bath mat and other bath items are available upon request. The devise sensors door knocking vibrations, alarm or phone sounds and inform you with light and vibrations. In case of emergency, revolving light on the wall will activate.